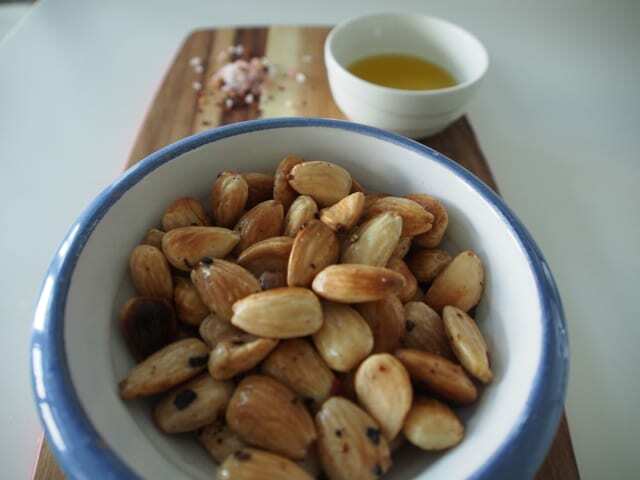 These Chili Blanched Almonds are a great alternative plain roasted or raw almonds. Heat oil in a pan, add almonds chili flakes and heat, stirring until the almonds have browned slightly. Remove from heat, add salt and serve hot or cold. A great little snack for a winter or summer gathering. Spreading the low carb word.